An Muslim from Xinjiang managed to escape when he was being taken for arraignment but eventually had to turn himself in because he had nowhere to hide. 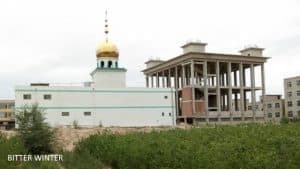 In March, Mou Guojian, a Hui Muslim from Emin county in Tacheng prefecture, was arrested for reciting the Quran years ago at a mosque without having a state license to do so. He was kept in detention since then. However, while he was being taken for his arraignment in September, he fled away from the police on the pretext of wanting to use a restroom. When the officers realized this, they immediately blocked the roads to the village from where Mr. Mou had escaped. The authorities also dispatched nearly thirty heavily armed SWAT police officers to take positions at nearby villages and road intersections. Local police officers conducted a door-to-door search of households nearby. 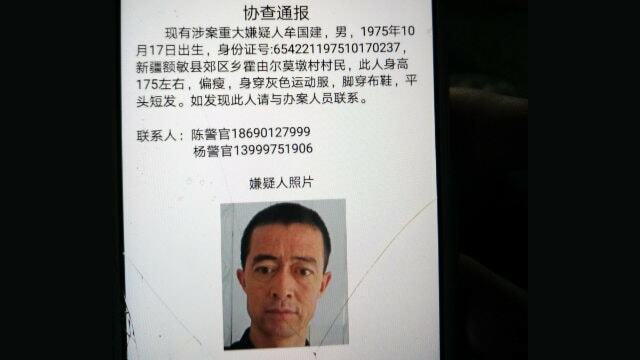 A notice regarding his arrest was plastered across the villages and messages were posted online on WeChat, stating, “A 50,000 RMB reward will be given for reporting a lead or for the direct capture” of Mr. Mou. Message on WeChat regarding the reward for capturing Mou Guojian. The officers also called up all of his friends and relatives to ask about his whereabouts. Eventually, Mr. Mou realized he had nowhere to hide and sooner or later the police would get to him. He ended up turning himself in. He revealed later that he had escaped wanting to see his parents since they were extremely distressed by his arrest. 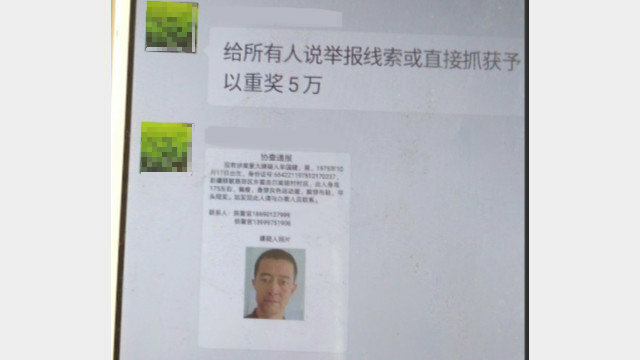 A notice issued for Mou Guojian’s arrest. It is uncertain how long will Mr. Mou be held in custody. As per a party cadre, the majority of apprehended Muslims are given prison sentences ranging from three to seven years. In reality, most detainees may spend their entire lives in custody.